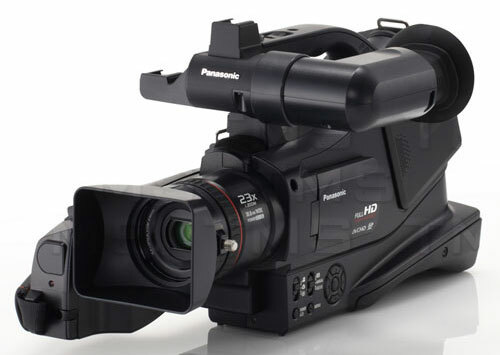 The AG-AC7PJ is a versatile, low-cost professional AVCHD shoulder-mount camcorder featuring full HD (1920x1080) and SD (480i) recording to SDHC/SDXC media. 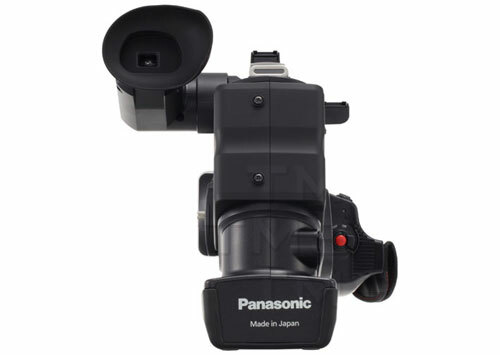 Highly compact at weighs less than 4 pounds, the AC7PJ offers multiple recording formats and comes complete with a large grip and zoom lever, as well as a wide-diameter manual focus ring for smooth precise operation. Six recording modes: HA mode (approx.17 Mbps), HG mode (approx.13 Mbps), HX mode (approx. 9 Mbps), HE mode (approx. 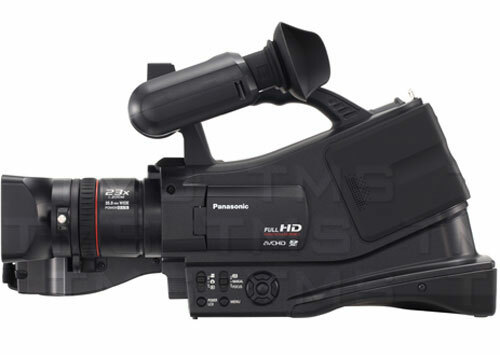 5 Mbps), and for standard-definition shooting, SA mode (approx.9 Mbps) and SX mode (approx. 4.5 Mbps). Recording for up to 8 ½ hours on a single 64GB SDXC card is possible in HA mode. Variety of manual functions including Manual Focus, Manual Iris, Manual Shutter Speed, Manual White Balance and On-Screen Assist Functions (Zebra Pattern/Luminance Level/Histogram). Supported by a wide range of editing systems, including Apple Final Cut Pro 7.0.3 or later, Adobe Premier Pro CS5 or later and Grass Valley Edius Neo 2 booster or later. The AG-AC7PJ is equipped with a wide-angle 38.5.8mm lens (35mm equivalent), facilitating panoramic capture and shooting in confined spaces. Its Intelligent Zoom function enables telephoto shots at up to 23X magnification, with images maintaining clear, beautiful HD image quality. The Intelligent Zoom mode utilizes hybrid Image Stabilization that combines both optical and electronic stabilization of the image. 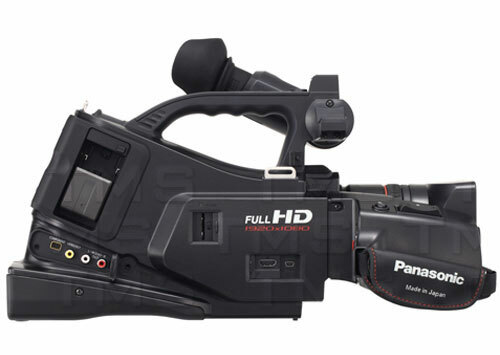 The camcorder boasts a range of automatic features tailored to the beginning videographer. Its powerful Intelligent Auto (iA) function senses the shooting conditions and automatically identifies the settings and activates functionality that will deliver optimal results. iA controls the hybrid Image Stabilization as well as Intelligent Contrast to retain a natural contrast and Intelligent Scene Selector to assess a setting and switch the scene mode accordingly. The AC7PJ also incorporates a Wind Noise Canceller that automatically detects and suppresses wind noise only, achieving natural sounds with lifelike ambience.